The idea of Carlton Landing Academy began in 2008 when the master plan for Carlton Landing was first conceived. 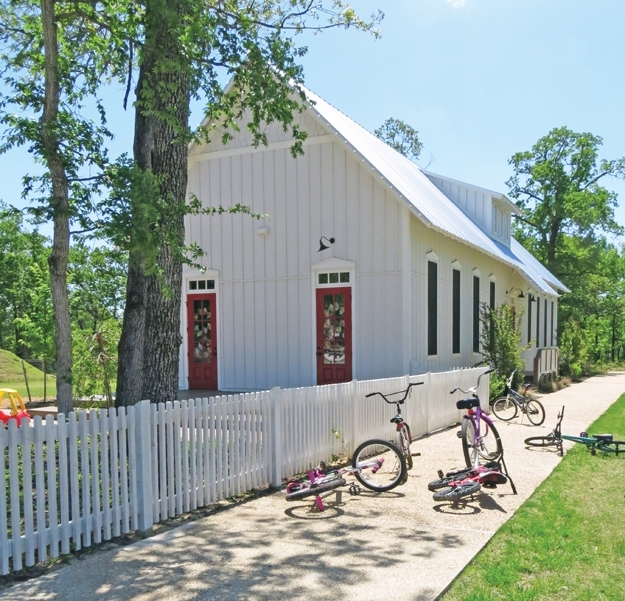 As the Town Founders of Carlton Landing considered what kind of community they wanted to create, it was clear that a neighborhood school would be one of the most important ingredients. Looking back at our roots, in the years that followed the Oklahoma Land Runs (1889-1899), each town had a schoolhouse which served as the heart of the community. In addition to being the center of education, it also served as venue for town meetings and church services. It was the place where neighbors caught up on the news of the day and shared the special bond of community. So it is today in Carlton Landing. While there are students who live in Carlton Landing and can walk to Academy, as a public charter school, the Academy is open to any student in the State of Oklahoma. In fact, our students come from several towns across multiple counties. The families who send their kids to the Academy represent a diverse assortment of hometowns, races and socio-demographic backgrounds, with a common thread being a strong appreciation the opportunity to have a unique and excellent education. Our families appreciate the Academy’s culture – character-based, community-minded and caring teachers. They appreciate the Academy’s first-rate facilities – the small classroom sizes, natural light and safe location. They also appreciate the Academy’s innovative curriculum – project-based learning, strategic application of technology and exposing kids to nature on a daily basis.